Forming one of the last chassis built of the 12 built between 1964 and 1966, the Brabham BT8 was a development of the earlier BT5 of 1963. Chassis SC-2-65 was built for the 1965 season and supplied to Bill Kay of Kay Racing for Peter Revson to drive. 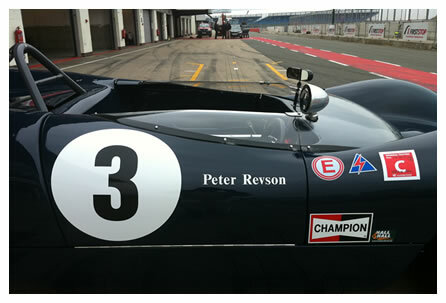 Revson had considerable success with the car in 1965, winning his class (and 2nd overall) at the Martini Trophy, Silverstone on July 24th, and at the Guards International Trophy at Brands Hatch on August 30th he was 2nd in class to Denny Hulme in another BT8. Revson was 2nd at Crystal Palace, won the Stardust GP at Las Vegas, and won his class at Mosport and Pacific International and 2nd at Riverside in the LA Times GP before heading to the Bahamas where he finished 3rd in the Nassau Trophy Race during Bahamas Speed Week. For the 1966 season the car was driven by Skip Barber with further success, setting two new lap records at Virginia International Raceway and finishing 2nd overall in the SCCA National Championships. 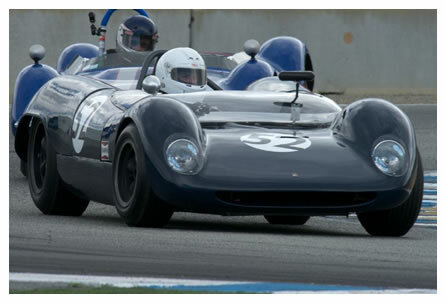 The car subsequently went to Bill Mitchell who ran very successfully during the 1968 season winning the SCCA Divisional Championship, and was 7th at Daytona using an Alfa Romeo engine in place of the original Coventry Climax FPF. Success was repeated in the 1970 season when Mitchell again won the SCCA Championship. The car passed to Dave Headlay in 1973 when Toyota engine was fitted and the car became known as ‘Brabota Mark I’. The car subsequently went to the UK with Robs Lamplough who in turn sold the car to Mike Harrison who had a fresh Climax FPF 2.7 liter built by Climax Engine Services in 1984 and the car was then driven in competition by Mike Littlewood. In the early nineties the car went back to the US where it was acquired by Bruce McCaw and prepared by Thor Thorsen of Vintage Racing Services. The car returned to the UK when John Beasley acquired the car in 1999. 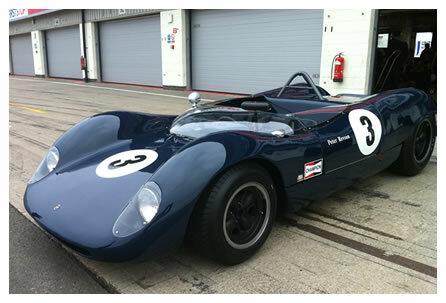 In 2005 a fresh new Coventry Climax 2.5 liter FPF was built by Climax Engine Services. The Hewland HD5 gearbox was rebuilt by Hewland experts PDS Racing. 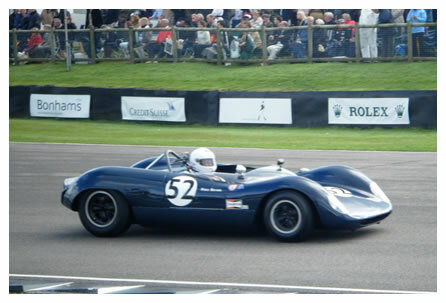 The car ran in the Whitsun Trophy at Goodwood in 2005 driven by Bill Wykeham. Bob Gett of Boston, MA purchased the car in 2010 in the UK. 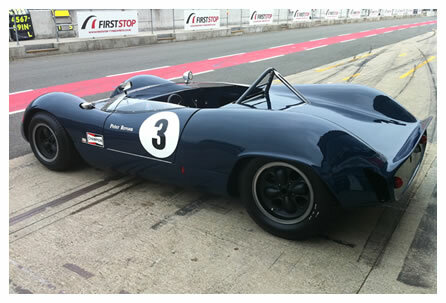 He ran the car there in several events including the 2011 Goodwood Revival. He then shipped the car to the US where it is currently actively campaigned. KTR European Motorsports specializes in the service, repair, performance upgrade and restoration of vintage European sports and race cars. KTR has been in business over 25 years and our staff has in excess of 75 years of combined experience. © 2019 KTR Motorsports / KTR Racing. All Rights Reserved.